We are very proud to introduce this gorgeous Bowerbird Small Natural Trinket Box. 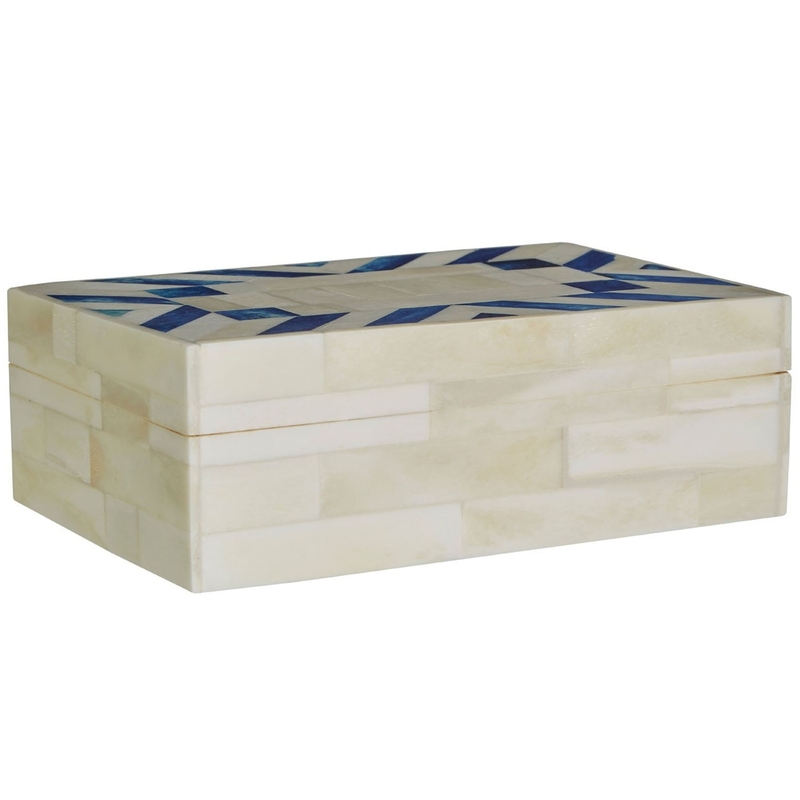 This trinket box is created from a very sophisticated Buffalo Bone material, leaving its natural creamy white colour. The natural colour has been given a blue arrow design on top, adding a unique and distinctive style that'd fit perfectly in a bedroom or living room.